I started this series last year, well I said I started it, but I actually did one post and forget to photograph the others! So I'm starting it over again! Book Of The Month is where my little ones & I focus on one book each month, read it, watch it (if possible) and do fun activities based on it! 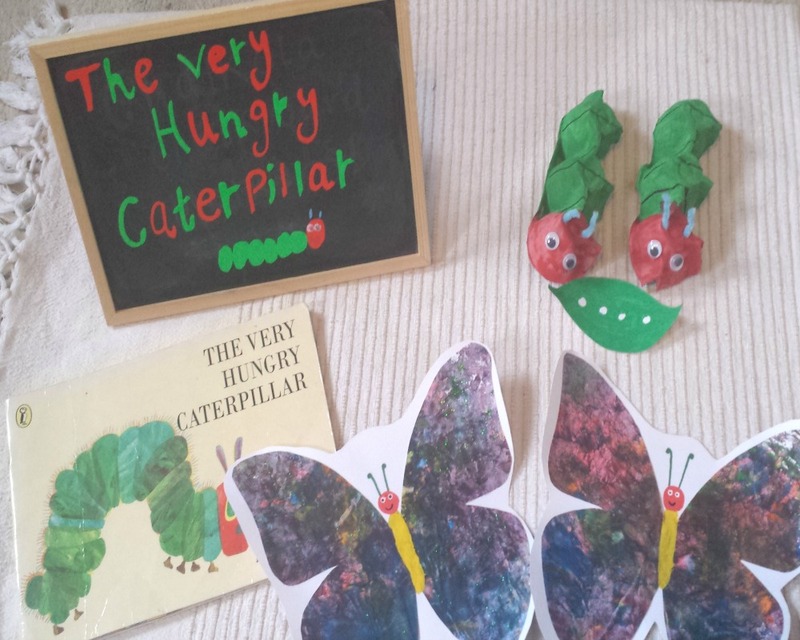 The book for March is the good old classic, The Very Hungry Caterpillar by Eric Carle! If you havent read it, or read it to your children. I don't believe you! It's about this cute little greedy caterpillar who likes to eat everything. The story shows the lifespan of a caterpillar, beginning as an egg, and ending as a butterfly. It's such a classic story, beautiful illustrations too. Did you know it was first published in 1969! Focus on this book, we of course read it! The little ones love pointing out the different items of food, and poking their fingers through the food! I knew the first activity we were going to do would be making our own hungry caterpillars! 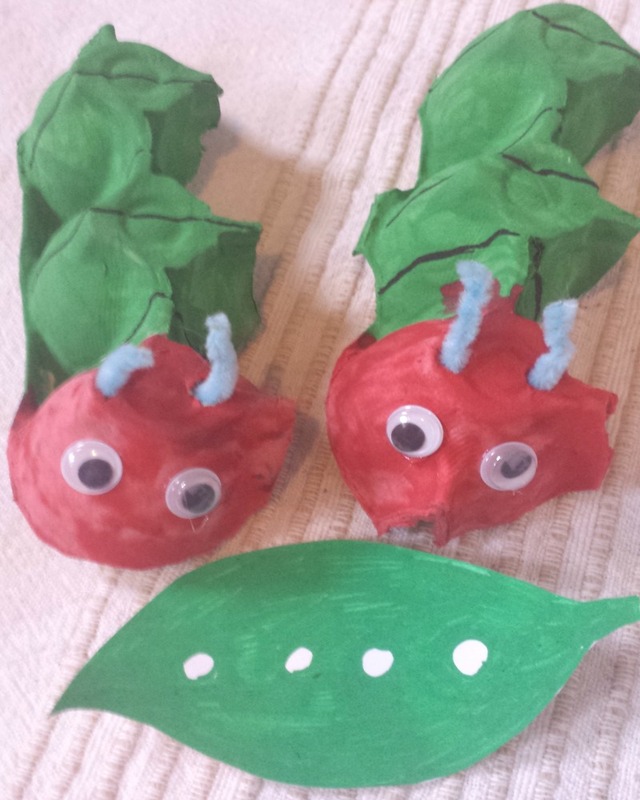 I cut out two long caterpillar shapes from eggboxes, and the little ones went on to paint the bodies green and the heads red! When the paint was dry we stuck on googly eyes, and used pipe cleaners for antennae. I found these cute printables here, for the food! Which we of course then allowed the caterpillars to eat! 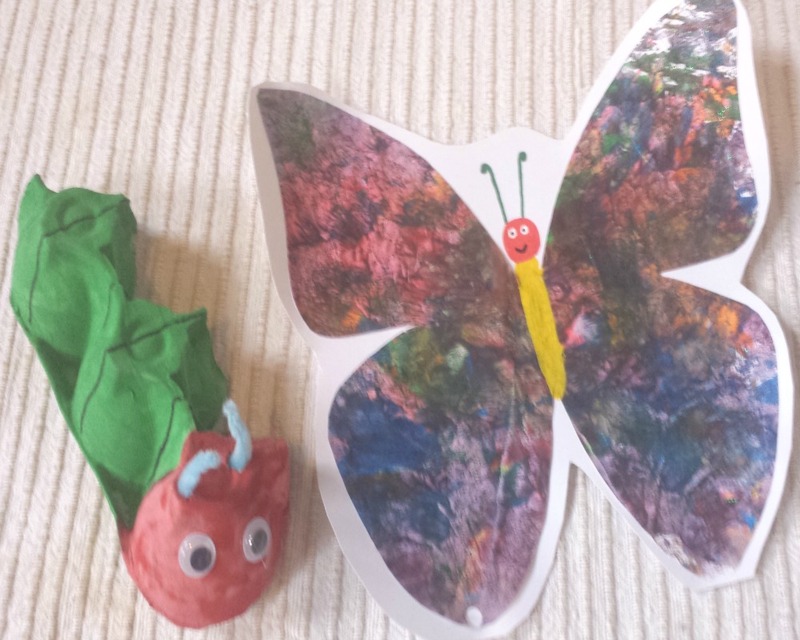 Last but not least, we decided to make some beautiful butterflies! Using the good old reliable method of messy painting, and folding the paper in half to make a symmetrical pattern! (mostly) We also added a bit of glitter to decorate. 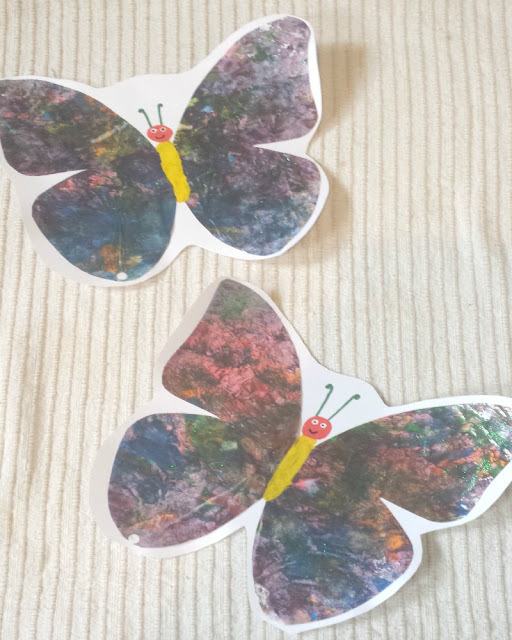 I then cut out the butterfly shapes, and we added on the details. What we found really fun was when I read the story out loud, and the little ones acted it out with their cute critters! 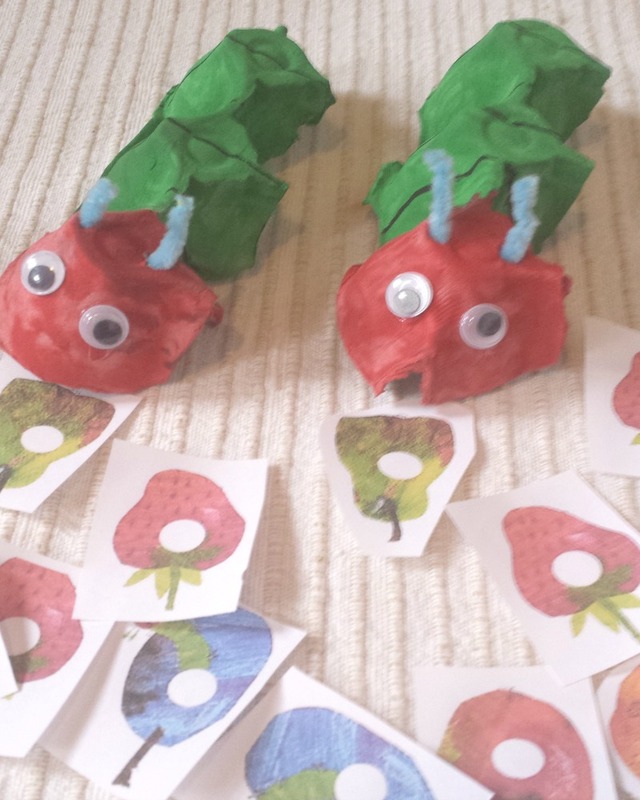 Have you or your child ever read The Very Hungry Caterpillar?